In today’s world, one in two or three people will get divorced, and the financial blow (never mind the emotional costs) on one or both partners often lingers years after the final decree of divorce has been issued. Knowing how to protect yourself against ever rising (and often needless) costs can make your divorce less painful and a whole lot less expensive. But is it possible to come out of a divorce fairly unscathed financially? South African divorce statistics paint a pretty bleak picture. In a country where the average household debt keeps creeping up with families having to seek debt counselling advice to alleviate rising debts, the added cost of a divorce can be truly crippling. Recent divorce statistics released by Statistics SA (based on the 2015 divorce data of 25,260 completed divorce forms) show that divorce amongst South Africans is on the rise by 2.3% from 2014, and that more women (51.6%) than men (33.8%) initiated divorce proceedings, with the average ages being 40 years (women) and 44 years (men), and the average marriage lasting less than 10 years. According to Old Mutual’s Senior Legal Manager, Sore Cloete, it is important for couples who are thinking about divorce to seek sound financial advice prior to initiating proceedings and to look for any possible saving tips. He goes on to say whilst divorce proceedings in this country are relatively simple, the way in which you got married can have profound financial consequences, such as in the case of civil marriages. 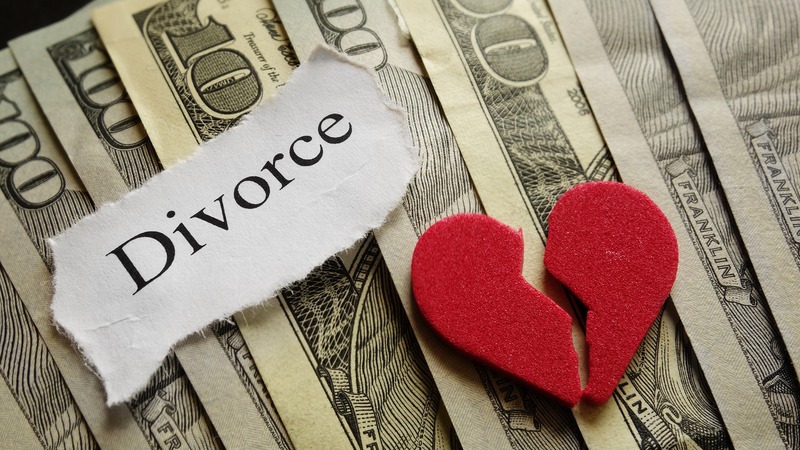 The costs of a divorce can also vary greatly and depends on the lawyer hired and the type of divorce filed; with costs ranging from R800 to R20,000 for an uncontested divorce (where both partners are in agreement on their asset distribution and child support arrangements) up to hundreds of thousands of rands in a contested divorce which may lead to crippling debt and the need for debt advice. Life-coach and professional Motivational Speaker, Godfrey Madanhire, cautions that both the loss of your partner as well as the emotional distress often accompanying a divorce can have dire consequences for your finances with many divorcees being forced into reckless lending schemes to keep head above water. Recent research carried out by Professor Stephen Jenkins (Chair of the Council of International Association for Research on Income and Wealth and Director of the Institute for Social and Economic Research) shows that in the UK women became poorer following a divorce (often for many years afterwards) whilst men’s wealth increased. So what is the best strategy to try to soften the financial blow of a divorce? Open communication on the subject of finances during a marriage and a prenuptial agreement help to manage expectations, notes Cloete. Avoiding talking about finances and being unaware of a partners debt review can lead to an expensive, drawn out battle in the event of a divorce. “The more you can agree to beforehand, the less you need to spend on attorney’s fees,” says Cloete. Hiring a lawyer is generally the best way to protect your interests, but divorce mediators are significantly cheaper with the added benefit of a counselling background. Cloete also stresses the importance of being advised on policies and pension funds taken out in the marriage during settlement negotiations (especially for women who don’t have the same earning power as men and whose careers are often impacted by choosing to stay home to raise the children). It is thus a good idea to hire a financial planner or an accountant to look at debt consolidation (if needed) and to develop a 10-year financial plan to review finances and map out spending goals. The long and short of it is that unless you’re a movie star or extremely wealthy, your economic level will decrease after a divorce. If you don’t want to face debt consolidation loans further down the line to rid yourself of unwanted debt it is up to you to make sound financial decisions, embrace a reduced lifestyle, find your own happiness, and a new life that is hopefully more fulfilling than the last in every possible way.